No one looks forward to seeing the dentist. But serious anxiety prevents 15 percent of Americans from seeking regular preventive care. That’s a problem, because gum disease is a serious infection that can affect the whole body. Studies now link gum disease to heart disease, stroke, and diabetes, among other illnesses. About two-thirds of nervous patients trace the feeling to a bad experience in a dental office. 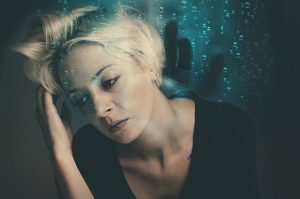 Another third have issues for which the fear is a side effect, like mood or anxiety disorders, substance abuse, PTSD, or childhood sexual abuse. Being in the dentist chair includes a lack of control, and it is understandable why so many patients dislike that feeling. You are in a vulnerable lying-down position; the dentist is hovering over you; you are confined and can’t talk. What’s to like about all that? The best way to cope with dental anxiety is to talk to your dentist’s staff about it when you call for an appointment. If the staff is not sympathetic, and does not tell you their dentist is specially trained in handling fearful patients, go elsewhere. Every dental professional wants their patients to feel calm and relaxed, because they care about you, and your comfort makes their job easier. If you often become anxious or claustrophobic in the dental chair, let the assistant know as soon as you arrive. Tell him or her you want to raise your hand if you need a break during the procedure. If you have had a bad experience at another dentist, or even the one you are currently seeing, speak up. Tell the dental staff about your experience, so they can understand what happened and prevent it from happening again. And don’t feel bad about trying another dentist if yours doesn’t take your concern seriously. Some patients are embarrassed that they have not taken good care of their teeth. Don’t worry; dental professionals have seen it all before. The state of your mouth won’t bother them; they are just glad you are seeking care now. Another preventable worry is cost. When a procedure is recommended, talk to the office manager about payment options before your appointment day. There may be free or low-cost clinics near you, such as at a dental school. And keep regular appointments with the hygienist — these reduce the need for more expensive treatments down the road. To make the experience more pleasant, bring a friend or relative to sit in the treatment room with you. Load your phone with your favorite music and listen to that on headphones. Do relaxation techniques like controlled breathing or progressive muscle relaxation. Dentists who specialize in treating fearful patients take steps to create a soothing environment. They take away the fear cues of typical dental office sights, sounds, and smells. They gently explain what you may feel, and for how long. They frequently ask permission to continue. They give you the chance to stop the procedure at any time. Remember that some level of dental anxiety is normal. With proactivity, clear communication and relaxation techniques, most people can overcome their fears to improve their health and lives.